To provide better telecom services to customers across the India Telecom Minister Manoj Sinha launched new services on Social media Twitter for addressing complaints. Telecom minister in the name of ‘Twitter Seva’ @manojsinhabjp launched on #Twitter social network for addressing complaints and concerns of all stake-holders in the telecom and postal sectors. Telecom minister created a platform for subscribers to lodge their complaints against telecom operators following his new twitter account #TwitterSeva. In a statement telecom minister said ‘The telecom ministry and Department of Post will compile a list of complaints from this Twitter Seva and categorize them into immediate, mid-term and long-term complaints. The move comes amid an increased focus on improving the quality of telecom services. The telecom minister earlier said that there will be positive results in the next three-four months in addressing the problem of call drops. He also added, ‘Both BSNL / MTNL telecom and posts sectors, subscriber is the king here and this is all the more important for their services. The complaints forwarded to them under this arrangement throughTSPs (Telecom service providers) are expected to resolve’. We are aware that complaints are going to pour in from across India and in great numbers. But I would like to assure you that telecom ministry will raise upto 1 billion mobile phone subscribers as well improve the biggest postal network in the world. 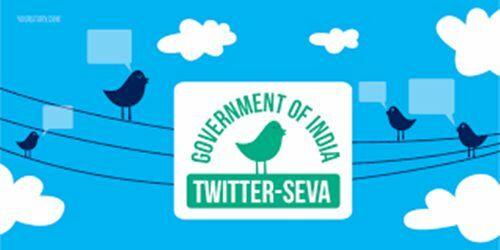 Sinha also said, ‘The Indian telecos from Government as well as private and the department of Posts will use the utility of ‘Twitter seva’ to the fullest to address the grievances of the public through #Twitter account @manojsinhabjp.